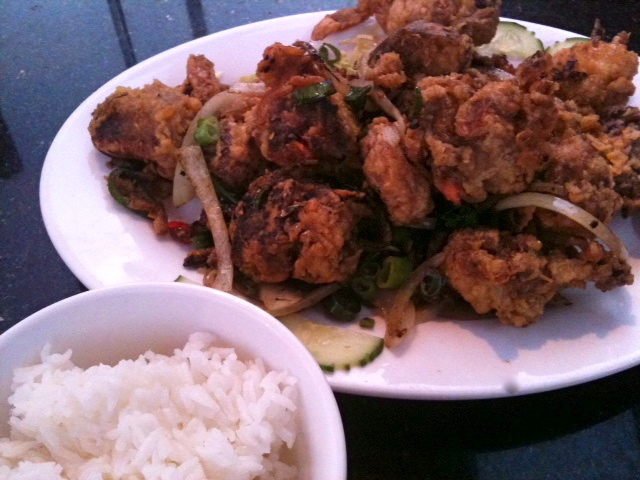 If you have never tried soft shell crab and you like seafood, you should try it. Don’t ask exactly what it is, you may not like the answer. Just take the leap of faith and try some. I tried it for the first time here in Darwin, back in May when I was here for my biopsy. My friend told me it was good, and that it was a ‘leap of faith’ to try it, so I did. I love it. It is like so many things in life. Heck, it’s like Life itself. No one can tell you what each day is exactly going to hold, nor what your life will become. Getting out of bed is a leap of faith, each and every day. Let’s all ‘hang in there’ and not just dangle our toes in the water, but jump in and splash around and see what the water is really like! What is your ‘leap of faith’ food or moment?